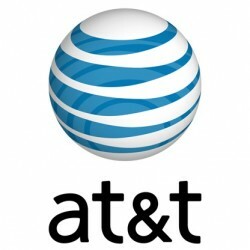 AT&T has announced that it will begin trialing 5G wireless technologies this year, including lab tests in the second quarter and outdoor tests over the summer. The carrier anticipates 5G speeds to be 10-100 times faster than today's average 4G LTE connections, with reduced latency. Customers will see speeds measured in gigabits per second, not megabits. For reference, at one gigabit per second, you can download a TV show in less than 3 seconds. Customers will also see much lower latency with 5G. Latency, for example, is how long it takes after you press play on a video app for the video to start streaming on your device. We expect 5G latency in the range of 1 to 5 milliseconds. Worldwide standards are still lacking for 5G technologies, but the 3GPP group aims to complete the first phase of that process in 2018. The widespread rollout of AT&T's 5G network will likely take until 2020, but the carrier plans to provide wireless connectivity to fixed locations in Austin before the end of this year. The carrier joins Verizon, who will also be field testing 5G solutions this year. AT&T's 5G network will be based on technologies such as millimeter waves, network function virtualization (NFV), and software-defined networking (SDN). The carrier has already migrated 14 million wireless customers to its virtualized network, and it says millions more will be added this year. AT&T plans to virtualize 75% of its network over the next four years in the lead up to 5G. It remains too early to predict Apple's roadmap for 5G connectivity. Apple was quick to support LTE-Advanced, a faster standard of 4G LTE, on the iPhone 6 and iPhone 6 Plus or later, but 3G and LTE wireless technologies were both available for years before Apple adopted them. Based on AT&T's and 3GPP's timelines, a 5G iPhone may not be released for at least three to four years. Now you can break through your data plan in 10 minutes. Yay us! Why not try to deliver 4G LTE everywhere first? They really should put that money put in their fiber infrastructure rather than more mobile networks. Yes LTE is fast. But what for, next year my Phone connection is 100x faster than my home connection, but this is the connection where I need it fast. Not on my freaking phone. Nonsense! There is no 5G. There isn't even an agreement between the various parties as to what 5G will be. In fact, we don't have 4G anywhere around the world yet. LTE is not 4G. Several years ago, when 4G fell well behind schedule, carriers and manufacturers lobbied the 4G working committee to allow them to call LTE 4G. After 6 months, the committee agreed. But LTE is actually 3G+. 4G is LTE Advanced, which has been in testing stage for several years, and is something we won't see for another year, at least, in commercial installation. Estimates for the release of 5G, is mid 2020s, with some in the industry thinking early 2030s. So,what AT&T and Verizon, who also announced this, are likely talking about is LTE Advanced, in other words, real 4G. Don't let anyone fool you guys about this. No one even knows what 5G will be. Some groups want it to be equivalent to 10G Ethernet. Some want it to be a mesh technology, and others want it to be LoT. There is No agreement as to what it will be, much less having equipment capable of delivering anything. My LTE connection is already 100x faster than my home broadband, why does it need to go faster? now blow through your data caps in half the time! I don't understand comments like this. What are they supposed to do, make it slower? How about we make it 56K so that it will be impossible for you to use your monthly allotted data? Is that better? Also, faster speed means you will receive the data faster, not necessarily use more of it. Pretty sure they have enough employees to work on both. Would be foolish to wait until the current generation is perfect before looking to the future. I for one don't want to wait till 2045 for 5G. If you don't have AT&T or Verizon 4G LTE by now, you must live in the sticks, and even most of the sticks have LTE service (at least the sticks I've visited lately). 4G LTE is very widespread throughout most of the country, so moving to 5G makes sense. Now you can bring back the unlimited data plans! The real unlimited data plans...no throttling.